I have downloaded a Literature collection comprised of 6 CD’s, each in MDF and MDS format. In each CD there is a MDF file that carries most of the information ( 600 MB) and a MDS file with only a few KB’s. The idea is that I should be able to burn the Images to CD’s and eventually read the texts in each CD. I thought I’d have to convert first the MDF files to ISO before burning to CD. Finally I tried your software. Here too, the burning operation kicked in, but towards the end I received a long error message, basically saying “ I/O error..scsi status 0x02…SK interpretation : illegal request”.I javen’t a clue what it means. 1.Should I have burned the MDF files directly without converting to iso? At this stage the original MDF files are no longer there, because I converted them to iso, I’d have to re-download them. 2.All the softwares I looked at, except IMGBurn, have an EXTRACT button. I am not sure what extract means here because usually we extract only compressed files ( Winzip or other). In this case the MDF files don’t look compressed. Do I still have to extract the MDF files with the EXTRACT button? Could you please answer these question and tell me if and how I can use IMGBurn for this project? Just load the program, click the 'write image file to disc' button (go into Write mode) and then select the MDS file as the source file. If you get an error when you burn, post the log so we can see what you're talking about. The first attempt to burn the MDS file gave me the following message:" Session 1 track 1 ,Image track format Mode1/2352,Dvd track format Mode 1/2048. Would you like the program to convert the data current format " on the fly" as it is written ?" I chose YES, the burn process was completed successfully. Although the disk on the DVD drive shows empty on " My computer", when I open it it shows a detailed list of files and folders. I don't know how to attach the list here. If you want I can do a print-screen and e--mail it to you as an attachment. Good sign, but from here on I don't know how to read the literature texts that the disc contains. I also notice that the the file I wanted to burn shows in IMGBurn as ISO 9660 , while the same file when downloaded to the computer shows as MDS. 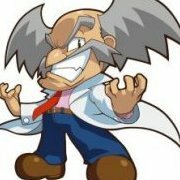 I 11:12:01 ImgBurn Version 2.5.8.0 started! W 11:12:01 Duplex Secure's SPTD driver can have a detrimental effect on drive performance. I 11:12:03 Found 1 DVD-ROM, 1 DVD±RW/RAM and 3 BD-ROMs! E 11:34:30 Failed to Write Image! I 11:34:30 Export Successfully Completed! I 11:51:17 Export Successfully Completed! I 11:53:00 Export Successfully Completed! 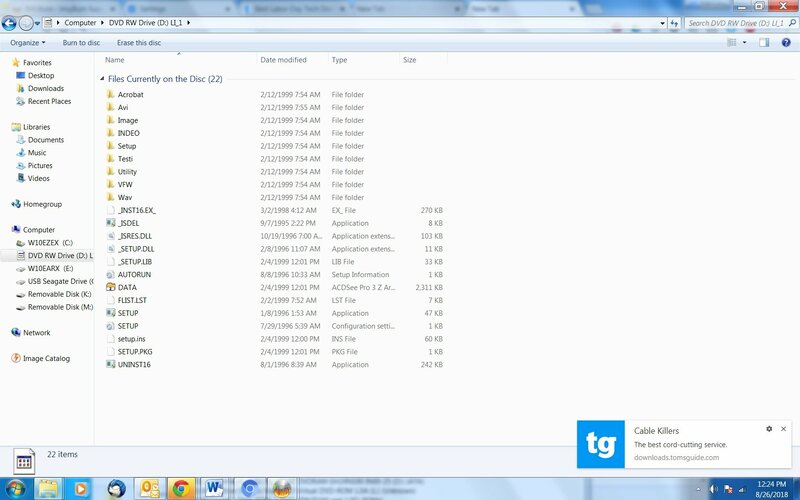 Further to my previous post, this is the list of files and folders in the burned DVD. How can I read the book texts off it? Well, that appears to be a software installation disc. Notice the SETUP application file? This disc wants to install something. You may need to install this disc's contents to access the text readable information. It seems to be in PDF format because there's an Adobe folder which indicates to me there's an installer for Adobe Acrobat Reader to read PDF files with in case you have no PDF reader installed. At this point, without actually executing the SETUP application, I can't say. Although the AVI folder would contain video files. This doesn't seem to be a disc with anything to read stuff from. It seems more of a software application installation disc. I have clicked on the SETUP app . Wow!!! It works! I can read the texts with the bundled App Acrobat Reader. Not my top choice, though,. Usually I use the Sumatra pdf reader. Visually a lot better, also because I can change the background colors. I don't know if there is a way to use Sumatra . For some reasons Sumatra kicked in as a pdf reader the 1st time I used the CD software but it never kicked in after, because Acrobat Reader opens automatically. The only snag I had so far was repeated crashing with the message " NTVDM has stopped working.." I had to keep reloading the program to go on reading. Now it seems O.K, perhaps because I uninstalled and reinstalled Acrobat Reader. There is also another message ( in Italian) popping up saying that the SETUP files cannot be decompressed . I cannot understand why, because the software works and I can read my texts. One last question: is there a way to use the program on my Samsung Table? I have a micro-card on it with all my library. Can this CD program be installed on Microcard?How? If you want to use your old PDF reader instead of Adobe's, you can try uninstalling Adobe Acrobat Reader in Add/Remove Programs. It should restore the old file association for PDF to your old PDF reader after uninstalling Adobe's. If it doesn't, you should be able to restore its association by reinstalling your old PDF reader. I would think, in theory, you can copy the contents of the install CD to a new folder on the micro-card and then run the SETUP application from the root directory folder that is on the CD that is now in this new folder on the micro-card. I did uninstall from the computer the Acrobat Reader program installed from the CD during the original SETUP, hoping that it would connect to Sumatra by default, but it doesn't work. I must install Adobe Reader for my software to work. .
Incidentally, when installing Acrobat Reader 3 from the CD, not only does it it create a folder under Program Files, as usual, but it also creates a 2nd Acrobat Reader 3 installation folder( apparently the same) at the root C:/. This must be the location from which my CD program reads the information to open Adobe, because if I delete this folder from the root, Adobe will not open from the Cd, even if the program has not been uninstalled. By doing so, I hoped to ..fool the system and that Sumatra would open by default, but it doesn't. Anyway,. no big deal, as long as I can read the texts. Since these files are apparently PDF, what I would recommend is after they're installed, look for any files with PDF extensions and just copy them over. That way, you shouldn't need anything "installed" from this CD at all. You should also search the install CD itself for any PDF files. That way you can just copy them over instead of having to install anything if the installation works that way. Then, you could use your own PDF reader. Acrobat Reader 3? Wow, how old are these install CD's? It works! I have found the files with the PDF extension in the folder "Testi" . I simply went to the first PDF file and changed the OPEN WITH program in PROPERTIES from Windows Shell to Sumatra .I didn't install the Acrobat Reader and It works! I didn't even need to change each file individually. They all went to Sumatra automatically. Each single CD covers one period of the Italian literature. Is there a way to burn all the six CD's into one DVD with ImageBurn? Yes it is an oldish collection ( 1999) published by the Italian well-known newswpaper L' Espresso in collaboration with University literary experts. I believe in those days the collection was free when you bought the newspaper . Yeah, when you change the file association, you don't need to do it for each individual file. You've changed the file association for all files ending in the .PDF extension. Well, it's not really as simple as just copying over all 6 CD's to one Build job. You can choose to copy and not overwrite existing files, but there's no guarantee the installer will work that way when you run it. What you can do is simply copy all 6 CD's contents to their own individual folders, 1, 2, etc. into a Build job. You'd first have to copy over each CD to its own folder, 1, 2, etc. on your hard drive and then add each folder to a Build job. That way, you can insert just the one disc and run an individual installer from each folder. That's probably your best bet. 6 CD's might not fit on a single layer DVD and you may need a DVD+/-R DL or a single layer Blu-Ray disc. I have looked at your Guides for instructions about the Build mode in order to have all the 6 CD’s burned on one DVD, but I am hitting a wall. 1 I have created a folder in the computer containing all the 6 individual MDS files. 2. I used IMGBurn ( Build mode) using these six files as the origin files and a new folder in C:/as the destination folder. Now, after the Build operation, in the destination folder there are no longer 6 individual MDS files but TWO files: one . ISO and one MDS file, so I thought something was working. I then tried to burn these two files to the DVD drive, but I am going nowhere. .
First, my DVD disks are 4.7 GB each and the entire collection of 6 CD’s is 3.9 GB, so it should fit in one DVD, but, strangely, I was requested to insert a 2nd DVD. In the end, both are duplicates, because they list the same 6 individual MDS files, but there are absolutely no data allowing to open the software for reading the texts, like in the 1st successfully burned individual CD I mentioned in a previous comment..
I’d appreciate it if somebody could help me. 1. Regarding he 1st paragraph, do you mean that, as an alternative to the procedure outlined in the 2nd paragraph, I can, if I want, load ( copy?) the contents of the DVD as it is now ( those six files) back to IMGBurn as the origin files and then burn them to DVD? . Would this finally open up that long list of files and folders, including the SETUP .exe file require to unlock the software and allow me to read he texts? 2. Regarding the 2nd paragraph. If I try to burn the 6 Cd images in six separate BURN processes, each time the system will ask me to erase the disk first, won't it? Is there a way to burn them as a batch? I thought this was what the BUILD mode does. Also, supposing that I can burn each subsequent CD image on the same DVD, what do you mean by" copying the contents from the CDs,( not-as you stress- from the CD Image files) , to 6 temporary folders"? a) what and where is this" contents'? Is it the contents of the DVD after burning the image( like the the long list of files and folders showing on the DVD after I burned successfully the first CD) or is it something else, somewhere else in the computer and not on the DVD ? The MDS and MDF files you already burned to DVD are only good for burning as image files to disc or loading as virtual drives in a virtual drive program. That's how you'd access the contents on each CD. You could copy them from the DVD to a hard drive or just load them from the DVD, but you'd need 2 burner drives for that second option, one to read and one to write. Did you already burn 6 discs with the MDS/MDF files? If not, you'd need to burn them, preferably to rewritable discs, temporarily so you can copy the contents of each disc, e.g. that long list of files and folders that had the SETUP file in it, from each disc. These 6 individual discs are what you'd need to copy to 6 temporary folders in another temporary folder. And it would be these 6 temporary folders in a temporary folder itself that you would add to a Build job and burn to ISO and then to DVD. You will only ever be asked to erase a disc if it is rewritable. You'll never be asked to erase a CD-R, DVD-/+R, DVD-/+R DL, BD-R, BD-R DL, BD-R TL, or BD-R QL. Build mode is not batched. It will only queue image files to burn in a batch it creates. And, thus, you'd have to create more than 1 before burning one to queue. Unfortunately, I can't make it much clearer than what I've already done because, and I don't mean to sound condescending, but there are certain basics in navigating PC use that just can't be taught in a forum like this. Actually, there may be a simpler way, now that I think about it. Since you don't apparently need the actual install CD's and just the PDF files in the Testi folder, what I would do is this. Burn each MDS/MDF disc image set to a rewritable CD or DVD. Either one at a time and reuse rewritable discs or burn all 6 to 6 discs. Then, from each disc you burn, open the Testi folder and copy all the PDF's to a temporary folder. Add that temporary folder to a Build job and burn to a CD or DVD. This way, you'll have all the PDF files for reading without having to install the Adobe Reader to read them. Plus, you can use your Sumatra PDF reader as you normally would. I'll burn each MDS file to a different DVD, then I'll create a Temporary folder with 6 subfolders, each for one of the six burned CDs. Then I'll copy each of the burned DVD's contents to the corresponding subfolders . I am not too sure how to proceed with the Build mode after that, in order to have all the 6 cd images in ONE DVD : I thought that , since the 6 subfolders would contain the already burned contents of the six individual DVD's, I wouldn't need to burn them again and that the build mode mode would simply transfer the 6 separate subfolders ( already burned) into one DVD. You seem to say that after the Build mode there is a 2nd stage where I have to burn again. Anyway, I'll go ahead and try. If it doesn't work, then, and only then, I'll let you know and you may want to clarify the above. If it works, I'll still let you know and you won't need to spend more time in clarifying. Less work for you. At this point, I have just seen your following post with a supposedly easier method. Since I have some questions on that , too, and I don't want to load you too much, bearing in mind that, as you seem to imply, a Forum like this is not a platform for a full course, let me try first the method you originally suggested. Build mode doesn't burn anything to disc. It creates ISO image files that you use the Write mode to burn the ISO files to disc. There is a Write files/folders to disc option that is similar to Build that does burn contents to discs. It uses the same interface as Build mode. Very good progress! I have been able to put all the 6 individually burned cd's on one DVD with the build mode : 5 of them work pretty well: when I click SETUP on any of them on the same DVD , I can read the texts beautifully. The only problem is with CD 6 : the SETUP won't work. I re-burned file CD-6 individually with no better luck : there are are three CD-6 files on my source folder I had downloaded: one has an ISO ending( 335 MB), the 2nd one shows as a MDF file( 699 MB) and the 3rd one shows as " Disk Image file " ( 1 kb), but as MDS on the Properies TAB. The 1st two ( apparently) complete the burning process, but then the SETUP won't work: I get a CMD Command prompt which flashes few times and then goes away, OR( in the third case) I get a message saying" invalid or unsupported file format. Reason: only single track images are supported".I can't even start burning. I hope to be able to fix this glitch with your help. I would make sure that 6th CD that isn't installing actually works to begin with. Burn the 6th CD image to a disc and try running Setup from that burned disc. I would think that the 6th CD image you downloaded might be corrupted and can't be used to run the setup from. But, I don't know that for sure. Are you getting that single track image error when trying to burn the 6th disc image? If that's the case, then you can't burn it with ImgBurn probably as it seems multi-track image files aren't supported for burning by ImgBurn. Wait, are you saying there are 2 different disc image files for the 6th CD? An ISO and an MDF? Given the file sizes you mention, they would, to me, not appear to be the same contents. I don't know if converting an MDF to an ISO would result in such a smaller file size. Try burning ISO on its own by loading the ISO in write. If that can't burn, try opening the MDS in Write mode. If that doesn't burn correctly, try opening the MDF and writing it. Mount the mds in daemon tools, fire up ImgBurn and go into Read mode. Point it at the virtual drive and then copy+paste everything from the disc info box on the right. The iso probably came from a bad attempt at converting the mds/mdf. Don’t just use the mdf on it’s own, it belongs with the mds and the mds is the one you pick when mounting or burning. For his 6th cd there are three files: a MDF file ( 699 MB), an other file listed as Disk Image File but as .iso file( 328 MB ) in the Properties tab and a 3rd file ( 1kb!) showing as .mds in the Properties tab. For the .mds (1 kb ) file and the .mdf ( 699MB) file I get the "invalid/not supported" message, allegedly because only single track images are supported. For the .iso file ( 328 MB) the burn process goes through, but the SETUP doesn't work. None of these three files can be successfully burned to DVD. By" mounting the .mds " in Daemon tools, do you mean mounting to a virtual drive?I don't have Daemon tools, anyway. Can I use WinIso or Magic Iso instead? Or perhaps is there a way to reconvert the .iso file back to .mds? I could also try to re-download the Software program, because I think there was an .mds file which got somehow converted to.iso. Would this work? I find it odd that all the other 5 cd's could be burned pretty well and they do work. Ignore the ISO. You wouldn't have an ISO *and* MDS/MDF for the same disc. The MDS/MDF will be the better option. Yes, I mean mounting to a virtual drive. Download and install DAEMON Tools. There's a free version. They developed (or co-developed) the MDS format, so it's the best way of dealing with those types of images. Also, is the ISO the same file name, just different extension, as the MDF/MDS files? I wonder if, what happened, is you saved one of your Build jobs, either on purpose or by accident, to the same folder as the 6th CD image file set. I still think the 6th CD image file is corrupt, too. Mounting it as a virtual drive would help prove if it is or not. The Virtual Drive mounting option is not included in the Daemon Tools free version( Daemon Tools Lite). I have to pay for this option. Is there an other software I can try? I can still read the texts from the ADOBE folder which has a subfolder called TEXTS . These texts are not clearly identified by name and author and I have to guess the contents by the abbreviation. It is a bit longish, but I guess I have to live with it if I cannot burn the CD properly. Maybe it is a corrupt file or I have done something wrong with it. I'll try to re-download the software, hoping that the .mds file will be intact, in its original version. THanks for your help. Your software is beautifully designed and easy to work with.